John Logan wears many hats. Attorney. CEO. Father. Husband. First responder. Logan, a 2006 graduate and chief operating officer of Hamilton Health Center in Harrisburg, started as a volunteer paramedic at 18 when he was inspired by friends. After nearly 10 years as a volunteer paramedic he became a full-time paramedic in Pittsburgh. From there he was promoted to paramedic supervisor and moved to a role as executive director, chief executive officer and chief at Greater Valley Emergency Medical Services in Sayre, Pa.
Logan decided to attend law school when new regulations imposed in the medical field sparked his interest legal statute. In 2006, he received his juris doctorate from Widener Law Commonwealth and took a position as the executive vice president and general counsel of the Vartan Group in Harrisburg. 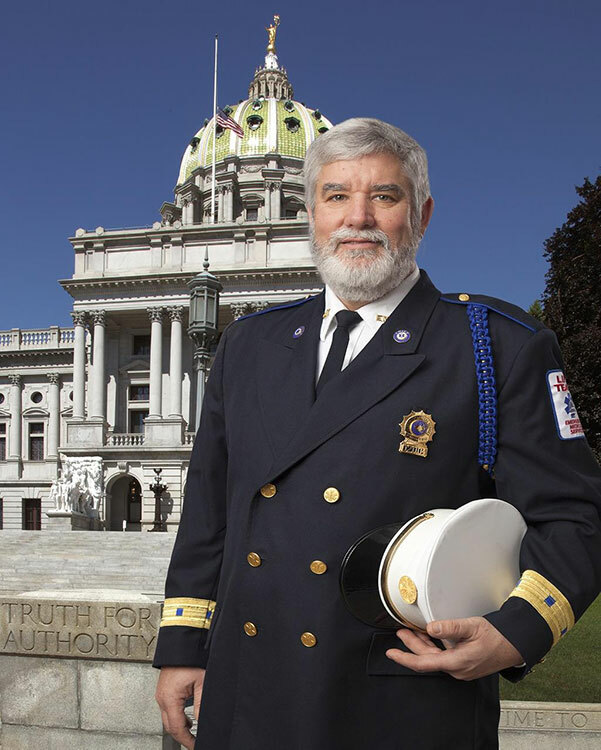 In 2009, he accepted the director position with Community LifeTeam, a subsidiary of Pinnacle Health System in Harrisburg, offering emergency and non-emergency EMS services. After five years in that position he transitioned to national business development director for HealthCall, LLC. In this role, he specialized in community paramedicine. Logan began his current position with Hamilton Health Center in 2017. Logan has lived in Pennsylvania most of his life. His wife of 26 years, Debra, works for the Commonwealth of Pennsylvania in the Department of Health. They have three children and one granddaughter. In his free time, John loves to travel and be outdoors.